Real photo postcard, 1958. On reverse of card: "DIVIDED CALIFORNIA HIGHWAY. 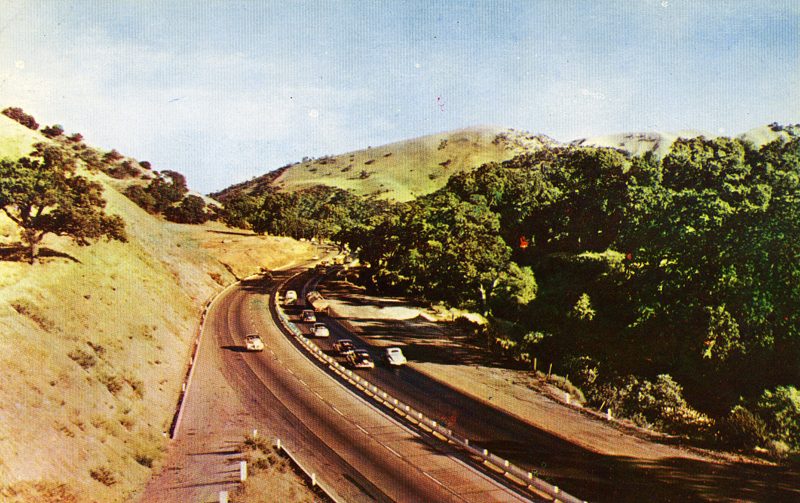 This oak-bordered stretch of the modern high-speed highway over the mountain pass between Los Angeles and Bakersfield was formerly a devious, twisting route known as 'The Grapevine'". AL2081: 9600 dpi jpeg from original postcard, collection of Alan Pollack.